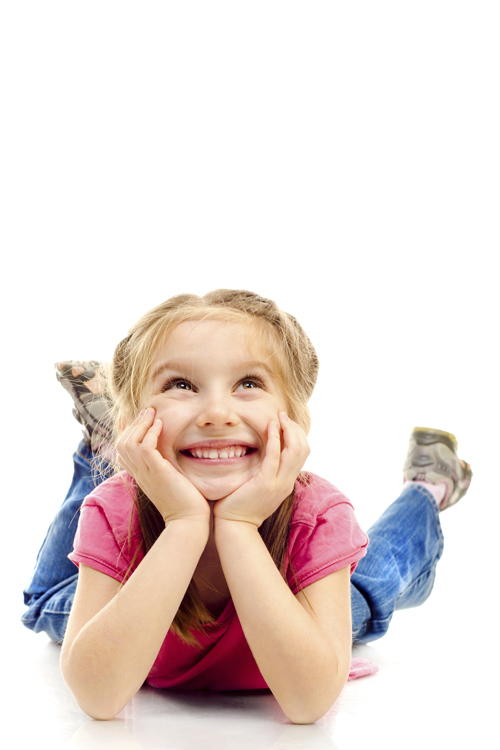 At Rossland Garden Dental Office in Whitby, we provide quality dental care for children. We also educate parents on proper care for children’s teeth. As soon as the teeth appear in the mouth you can begin daily cleaning, starting with a small moist cloth after each feeding to remove any food debris or plaque and later on, brush the teeth yourself until the child is older and even then it's a good idea to supervise or even dispense the toothpaste. A good time for the first visit would be around the first birthday. The dentist or hygienist will examine the child's mouth, including the teeth, gums, tongue, lips and roof of the mouth to detect any abnormalities and advise you about dental care. This will establish a good prevention program for the child and help alleviate any fears or concerns of the parent regarding the child's future dental development. However, regular dental visits should begin at age three. This is the age most children are at a developmental stage when they are more cooperative, are able to understand and are hopefully more compliant with the examination and cleaning procedures. You can prepare your child for a dental visit in advance to make it a positive experience. You can read your child a story about a trip to the dentist or play dentist, taking turns looking into each other’s mouths. You may also have the child colour some pictures of the dentist’s office. You should avoid describing any bad experiences you may have had as a child and remember dentistry has changed a lot recently. It would not be a good idea to bribe the child or make any promises. The primary central incisors appear in a child’s mouth at 6-12 months followed by the lateral incisors beside them at 9-16 months and then the canines at 16-23 months; the first molars come in at 13-19 months and the second molars at 25-33 months. The lower teeth usually appear earlier than the corresponding uppers. These are baby teeth or primary teeth and although they are going to be replaced by permanent ones they are very important for the health and alignment of the permanent teeth. They provide the child with healthy chewing surface and help the development of the jaws. If primary teeth are lost prematurely and the space is not maintained the permanent teeth following them may not be able to erupt properly and may sometimes get blocked. The permanent teeth start coming in at 6-7 years, again beginning with the lower central incisor followed by the lateral and the upper central incisors. The first molars erupt around the same time and then the upper lateral incisors erupt at around 8-9 years, then the lower canines appear and then the upper canines followed by the first bicuspids and the second bicuspids along with the upper bicuspids. The second molars come in between the ages of 12-13. The third molars or wisdom teeth come in at 17-21 years but quite often may get impacted. Parents are concerned when permanent teeth come in crooked or crowded. Most often there is no cause for concern, sometimes the primary teeth, which are supposed to fall out, may be over retained even though a permanent tooth is erupting behind it. In such case the dentist may have to remove the primary tooth, however, early.